Do you fear public speaking? 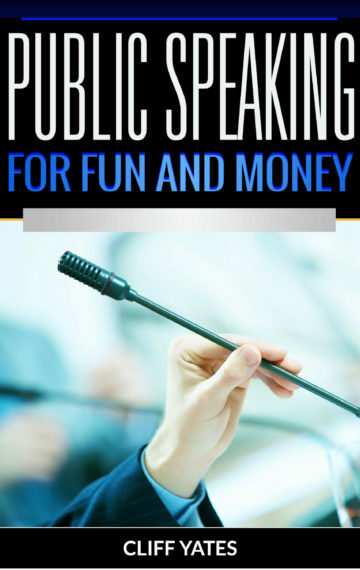 Whether you want to become a better speaker for fun, work, or to make big bucks on the speaking circuit this book is for you. Cliff Yates reveals all the secrets he has learned from thirty-five years as a police officer and a stand-up comedian which relate to fearless public speaking. Learn how to develop self-confidence on demand in any public speaking situation. Learn how to start where you are at, and take your public speaking to the next level. You will learn about stage presence, picking a topic, and the technical side of public speaking.